After a night of deadly violence between crowds of his supporters and opponents, Egyptian President Mohammed Morsi is inviting the opposition to what he calls a "comprehensive" dialogue starting Saturday at his presidential palace. Morsi's speech came a night after thousands of his supporters and foes fought in the streets near his palace, leaving at least six dead and nearly 700 injured. Suzette Grillot, a global security expert and the dean of the University of Oklahoma's College of International Studies, said Morsi's opponents argue he is trying to eliminate any kind of oversight for the presidential position. "These protesters are not unified, they're actually serving different purposes," Grillot said. "But they're all targeting the president in terms of wanting him to go back to a legitimate kind of presidential power." Across the continent, Washington is backing a lead role for Algeria in promoting dialogue between the government of Mali and the rebels in Mali's north. West African nations announced plans to help Mali reconquer the area through a military operation, and comparative political scientist Rebecca Cruise said the Pentagon recently declared al-Qaeda in the Islamic Maghreb (AQIM) is the strongest and most well-funded branch of the Islamist militant organization. "The United States supports intervention and the involvement of the West African states," Cruise said. "But they have yet to give any money as they're concerned about the actual implementation of the plan." 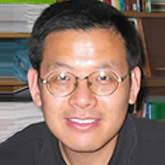 In the interview segment of the program, Grillot talks with Ning Wang, a political scientist at Arizona State University. His latest book How China Became Capitalist traces China's 30 year-transformation from a closed agrarian, socialist economy to a powerful force on the world stage. "A richer, stronger China is going to be great for everyone," Wang said. "Just like a great, stronger America is great for everyone else." Much of Wang's work with 101-year-old Nobel Prize-winning economist Ronald Coase focuses on the importance of economic reforms in the 1980s led Deng Xiaoping. Wang argues a series of grassroots "marginal revolutions" were just as important. "The Chinese government quickly recognized the contribution, and they changed their views of socialism," Wang said. Wang also says China's economic growth could be impaired by the leadership's desire for stronger control over the political system. When I talk about different kinds of capitalism competing with each other - you can have a market economy, but the way the markets, the way private property rights, the way the market and the government interacts, the way the state and society interact, could be quite different from one market economy to another. So what I mean by "diversification" or "diversity" within the market economy or capitalism. In the past, very much of the 20th century was divided, with this competition between capitalism and socialism. I hope the 21st century will see different kinds of capitalism, different kinds of market economies competing with each other. On looking beyond Deng Xiaoping’s economic reforms of the 1980s. We emphasized a different kind of dynamic that really, we think, pushed China from socialism to capitalism. What we called ''marginal revolutions." In China there were two reforms. One dictated and designed by Beijing, the other coming from grassroots levels. It's the latter one that really transformed China from socialism to capitalism. Though, of course, the Chinese government quickly recognized the contribution coming from the second track of reform, and they changed their views of socialism and they gradually embraced the market economy, and that's how China became capitalist. It's very hard for someone with innovative ideas to survive in the current Chinese political system. People coming out of that system tend to be very conservative. The next president is going to be Xi Jinping, who is going to take power next March, I believe. We really don't know much about this gentleman, but he comes from a family that gives me at least some hope that something big may happen in the Chinese political system. His father was one of the most open-minded Chinese leaders in his generation. His daughter now is starting at Harvard, so just judging from that, I'm quite optimistic that Xi Jinping may take China to a different path, particularly in terms of political reform. SUZETTE GRILLOT, HOST: Professor Ning Wang, welcome to World Views. GRILLOT: So I want to start just with a very simple question about China, because to many of us, China is kind of a mystery. We don't understand it. As someone who's actually spent some time in China, I've spent four months in China before; it's still a mystery to me. So, what is it that those of us in the United States really need to know about China to help us understand China? WANG: That's a very tough question. I guess my best advice would be go to China. Take a look at it yourself. You can make a lot of statements that apply to one part of China, but not to the other part. China is probably as diverse as American society. GRILLOT: I think that's what people don't really understand. We tend to look at China, and all Chinese, as if they're the same. It' is a very diverse country. Many different local cultures, local dialects, different religions. I mean, it's a very big - 1.3 billion people - country, so there's a lot of difference in China. WANG: That's very true. China has 56, if I remember that correctly, different ethnic groups. The majority are the Han Chinese, but there are many ethnic minority groups, and in terms of dialects, in terms of religious differences, there's just huge diversity across China. GRILLOT: Well, speaking of diversity, something that you've said before has to do with the diversity in economic systems. You use this very interesting analogy about biodiversity, and how global sustainability depends on biodiversity. So you've extended that to the political and economic systems in that there should be a diversity of economic systems. You referred to, for example, different forms of capitalism. We all know that China is a developing and rising country, particularly economically. What do you mean by this? Different capitalisms? Competing capitalisms? And how does that relate to what we know about China? WANG: Capitalism, of course, refers to a way society, its economy, and the political system function. When I talk about different kinds of capitalism competing with each other - you can have a market economy, but the way the markets, the way private property rights, the way the market and the government interacts, the way the state and society interact, could be quite different from one market economy to another. So what I mean by "diversification" or "diversity" within the market economy or capitalism. In the past, very much of the 20th century was divided, with this competition between capitalism and socialism. I hope the 21st century will see different kinds of capitalism, different kinds of market economies competing with each other. GRILLOT: So, in terms of the difference then, is the difference in terms of the top-down relationship? Or the relationship between politics and economics? The relationship between the consumer and producer? Are these the kinds of differences that we would see among these competing capitalisms? WANG: Let me take one example, let's look at one particular industry: the IT industry here in America. This is a very dynamic, moving very fast, industry. If you select a few firms in that industry, they have different organizational charts, different organizational cultures. The way they interact with their suppliers is very different. And if we multiply those kinds of differences, we get a small picture of how the market economy could be diversified. If you add in the political factors, the cultural factors, you're going to see unlimited possibility for diversity within capitalisms. So we don't have that kind of diversity in our system today, and as I said before, as biodiversity is critical for our biological environment, diversity in our society, in our economy, in our political system is going to keep our society resilient. GRILLOT: So you've recently published a book about how China became capitalist. That's the title of your book. Can you tell us a little bit about your argument in this book, and in particular, can you expand on the role of former Chinese leader Deng Xiaoping, and the growth of capitalism. My understanding is everything is kind of referenced back to Deng Xiaoping, and the way in which he changed Chinese economic practices. So tell us a little bit about your book, and particularly Deng Xiaoping's role. WANG: Recently there is a biography of Deng Xiaoping by Harvard sociologist [Ezra] Vogel. It's a great book where you can find a very well-documented picture of the role Deng Xiaoping played in China's economic transformation. In our book, we certainly paid attention to Deng Xiaoping and other Chinese leaders [and] the role they played in that process. But we emphasized a different kind of dynamic that really, we think, pushed China from socialism to capitalism. What we called ''marginal revolutions." In China there were two reforms. One dictated and designed by Beijing, the other coming from grassroots levels. It's the latter one that really transformed China from socialism to capitalism. Though, of course, the Chinese government quickly recognized the contribution coming from the second track of reform, and they changed their views of socialism and they gradually embraced the market economy, and that's how China became capitalist. GRILLOT: In most people's minds, communism and capitalism are not compatible. So how are we to understand China as a capitalist country when most people understand it as a communist country? WANG: Right. The Chinese Communist Party stays as the only political party in China, so if you look at that political structure that has not changed much. On the other hand, China has a free market economy, even though certain sectors are still monopolized by the state. But if we look at the market for goods, we can fairly say China has a market economy. If you look at what we call "the market for ideas," China really has a long way to go, and that is the weakness, or the flaw, of the current Chinese market economy. GRILLOT: So is it likely, do you think that the free market, in terms of goods and services in China, will eventually lead to more of a free market of ideas? And I guess maybe what you mean by that is that there will be more room for innovation, for example. WANG: We make this argument in our book that as our economy today becomes more and more knowledge driven; knowledge itself becomes the most critical factor of production. As we have, say, labor market or capital market, we need a market for ideas for capitalism or a free market economy to function well in today's world. GRILLOT: So what about the middle class in China? Where is the middle class? Is there a growing middle class? Because this seems to be related to this notion of future economic change and growing market economies and pressure on that free market of ideas. So where are we with the middle class in China? WANG: This is a topic that...here in the West we place high expectations on the emerging middle class in China, which is going to push for democracy and so on. To some degree, you can say the middle class is pretty weak in China. The society, particularly if you look at the income structure, you have people at the top, very rich, and then you have the vast majority at the bottom, even though they are better off than where they were under Mao's time. But certainly this kind of a gap in the equality is not good for the society. The reason why the middle class is not as active as they should be has to do with the fact that today, even though with the development of the internet and other IT revolutions, there are channels for them to voice their concerns, but still the press is still very much controlled by the government. GRILLOT: So the growth of the middle class is really what's key in this? WANG: I'm not sure I'm going to agree with that, since [if] you talk to people of all kinds of backgrounds. At the very top, the rich guys also want political reform. They want more participation in the political system. If you talk to people at the bottom - the peasants, the rural folks that I talk to since I have family there - they also know the political system is not working for them. So this demand for political reform is widespread across the spectrum in the society. GRILLOT: Let's shift gears a little bit to this notion of political leadership in your country, or the role of future leaders. It seems to me that China has moved so far down this road of economic development and market economics that we don't really see a return to a more planned economy, or some other type of socialist economy. But we do have some question about, as you mentioned, the one-party rule, so we see ahead of time the leaders that are being groomed for future reign of the regime. What do you make of future leaders of China? Do you see future Deng Xiaopings? Are there leaders in the wings that are ready and willing to continue to move China down this path of economic and perhaps political development? WANG: It's very hard for someone with innovative ideas to survive in the current Chinese political system. People coming out of that system tend to be very conservative. The next president is going to be Xi Jinping, who is going to take power next March, I believe. We really don't know much about this gentleman, but he comes from a family that gives me at least some hope that something big may happen in the Chinese political system. His father was one of the most open-minded Chinese leaders in his generation. His daughter now is starting at Harvard, so just judging from that, I'm quite optimistic that Xi Jinping may take China to a different path, particularly in terms of political reform. GRILLOT: So finally, Professor Wang, I have to ask a question about US-China relations. Many in the United States see China's rise and growth as a threat, and others see it as a tremendous opportunity. Which is it? Is it a threat, or is it an opportunity? WANG: It's a huge opportunity for America. I have two students who went to China last year and got jobs, one in Beijing and one in Shanghai. These are typical American students. There are a lot of industries in China now that create a lot of jobs for American graduates. When you have a strong Chinese economy, that's going to contribute to the growth of the global economy. As the economy today becomes more and more globalized, a richer and stronger China is going to be great for everyone. Just like a great, stronger America is great for everyone else. GRILLOT: Well, thank you for much Professor Wang for joining us on World Views.